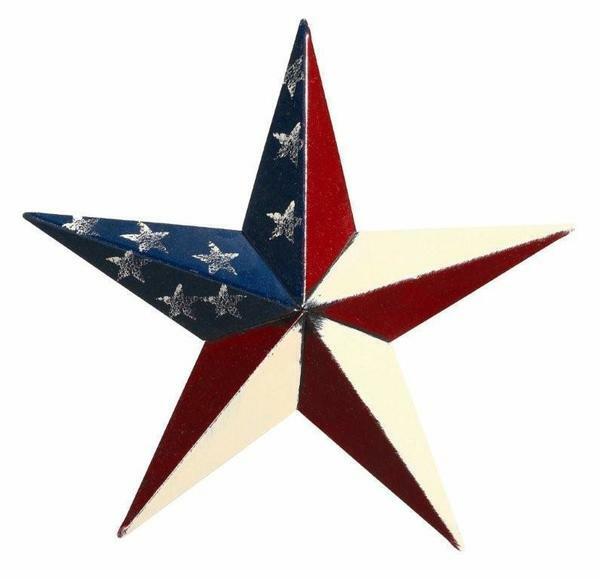 The Amish 40" Patriotic Painted Barn Star is hand painted with pride. Displaying red, white and blue as well as stars and stripes makes this outdoor decor a favorite. 40" offers a nice size star for barn, home front or shed. Browse our collection of rustic style barn stars, available in a variety of colors.